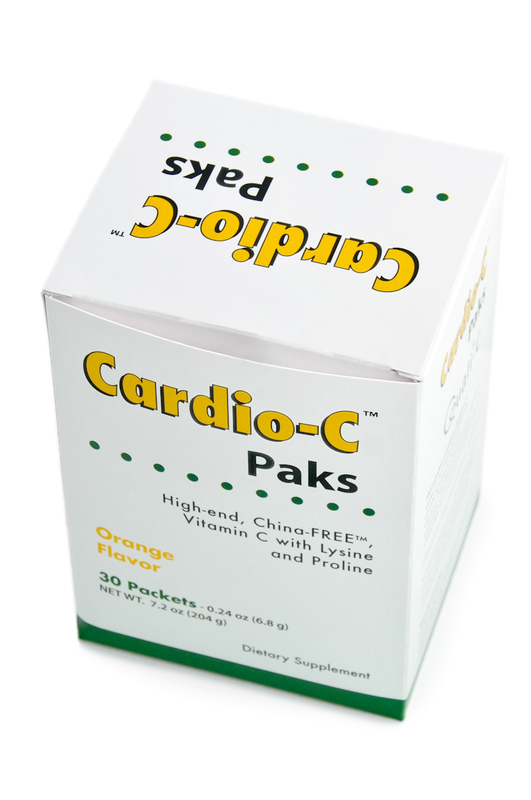 Individual Cardio-C PAKS™ servings makes Linus Pauling's recommended dosages of vitamin C and lysine easy - without pills. This potent formula is the only Vitamin C Foundation Approved® Pauling-therapy™ drink mix. ** Basic Pauling Therapy as formulated and recommended by Owen Fonorow for prevention. Cardio-C/Cardio-C PAKS provide the basic Pauling-therapy/Lp(a)binding inhibitor intended for those who take their own supplements separately. Note: Owen and Pauling recommended other nutrients, (e.g. vitamins E, A, K, magnesium, CoQ10, etc.). Linus Pauling told us, "One jar prevention. Two jars (2 servings daily) therapeutic." ATTENTION: There are two prices for all our products. Regular retail and a lower priced recurring automatic reorder/shipment labeled AUTOSHIP. 5+ gram dosage is the key to success. This product was designed by Vitamin C Foundation co-founder Owen Fonorow, and is easier to swallow than pills. Note: If a product doesn't contain at least 2500 milligrams of vitamin C and 2500 milligrams of the amino acid lysine, it is not a true Pauling-therapy™ product. And if it isn't using European Quali-C® it is not Vitamin C Foundation Approved®. The Pauling Therapy™ is Vitamin C and lysine at Pauling's recommended dosages. Not Manufactured with Chinese Vitamin C. Cardio-C™ contains only World's Finest Vitamin C Foundation Approved® China-FREE™ Quali-C® as L-ascorbic acid. Vitamin B2 (Riboflavin) turns the product slightly orange color in water. All our approved products must pass Federally mandated (GMP) exit testing to verify the contents match our labels. Sweet taste from the medicinal herb Stevia. No sugar. No artificial sweetners. Note: one jar monthly provides the preventive dosage recommending by Linus Pauling. Two or more servings provides Linus Pauling's recommended therapeutic Anti-CVD daily dosage. Forum discussion: Starting the Pauling Therapy"
Purchase Cardio-C from the Inteligent*Vitamin*C Inc., supporting the Vitamin C Foundation. Testimonials represent a cross section of the range of results that appear to be typical with these products. Results may vary depending upon use and commitment. We freeze more than half of every batch of Cardio-C that we receive from the bottler. Usually this means that Cardio-C you get from us is fresh, no matter what the manufacturing date is on the bottom. The cost imposed on nutritional suppliers by new federal GMP regulations forces us to order large batches of Cardio-C. In a matter of months, any moisture trapped inside the jar causes the powder to clump, This is why you should keep the desiccants that come in the jar - in the jar. The amino acid proline in the mixture is the culprit. Proline absorbs and reacts with moisture and begins to clump reducing shelf life. A chemist informed us that freezing stops this reaction w/moisture, and our tests show this to be the case. This is also why if you order several jars, we recommend storing any unopened Cardio-C™ jars in the freezer. 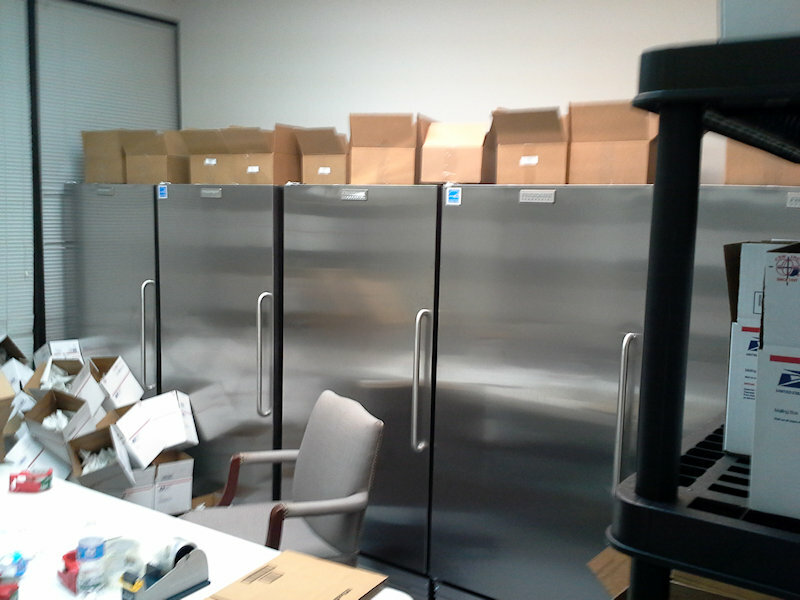 To our knowledge we are the only ones freezing our Pauling therapy product to preserve freshness. Vitamin C and the amino acid lysine are two dietary supplements that Linus Pauling patented as Lp(a) Binding Inhibitors. 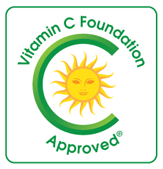 The Vitamin C Foundation sponsors a dietary supplement which Linus Pauling said has the ingredients necessary for preventing and healing cardiovascular disease caused by elevated Lipoprotein(a), or Lp(a), cholesterol in the blood. Therapeutically, the elements together work to keep the Lp(a) molecule from attaching to the artery wall via its lysine (and proline) binding sites. 5,230,996 - Use of Ascorbate and (Lysine) for Organ and Blood Vessel Treatment Prior to Transplantation. Pauling's therapeutic claims have yet to be clinically studied by modern medicine. What is the Pauling Therapy? According to Linus Pauling and associates, the cause of heart disease is inability to make our own vitamin C causing a chronic vitamin C deficiency. Pauling, the founder of modern chemistry, holder of 48 honorary Ph.D.s, and the world's only 2-time unshared Nobel prize laureate, theorized that too little vitamin C elevates cholesterol levels, including the Lp(a) variant that causes narrowing of blood vessels. The Pauling-Therapy is at least five grams of vitamin C and five grams of lysine daily for the prevention and reversal of chronic scurvy (aka cardiovascular disease.) Many people require more vitamin C, and the addition of proline may reduce circulating levels of Lp(a) in the blood. "Owen, I am buying for both myself, my wife and my brother. In Sept. 2007 I had to get a stent in my heart. I had one vein plugged 99% one 40% and one 60%. They put a stent in the 99% one, didn't do anything for the other two. In 2008, one year later they did a Cath. and found the other two clear after taking Cardio-C for one year. Also in March of 2007 My brother had a four way bypass. I finally got him taking Cardio-C also. It's been six years since any heart problems for either of us. We always get a clean bill of health from our Drs. Of course they are not interested in what we are doing. KEEP IT COMING MY FRIEND. And God bless you"
p.s. Sure you may use my name. You can add IF YOU WANT TO, That I am 71 and my brother is 69 years old. Interest in the Pauling therapy grows due to the increasing number of favorable accounts of CVD reversals. I want to thank you for saving my life! It was articles written by you that were published in the "Townsend Letters" ten years ago, when you described the Linus Pauling protocols regarding cardio-vascular disease. In 2002, I began following Dr. Pauling's recommendations and continue until today with the results recorded in the attached medical records. I feel indebted to you, Dr. Fonorow, for providing me with information that has enabled me to live the last ten years of my life in excellent health. Thank you for keeping LInus Pauling's legacy alive. If the information contained in the enclosed (13 year & experience with Lp(a)) can be of benefit to your cause, you have my permission to use said information , in any manner, shope, or form, with no strings attached. 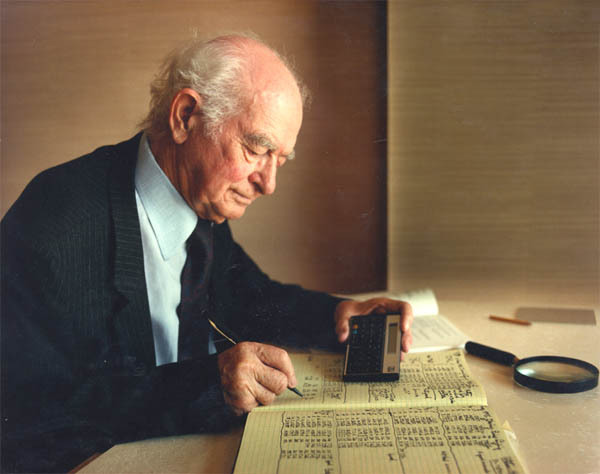 The first reports came from Linus Pauling himself (circa 1989). These were published and are presented as part of the Linus Pauling video on Heart Disease: A Unified Theory of Cause and Cure. During this video, Linus Pauling himself depicts the first use of his invention, the seemingly miraculous reversals of incapacitated CVD patients. The Pauling video lecture contains additional information for health professionals and may be obtained on-line, or by telephoning 800-894-9025, or 1-630-983-6707 outside the USA. Several Lp(a) Binding Inhibitor formulas as dietary supplements are now available without prescription. Still more testimony is posted at PaulingTherapy.com. Two and one half years ago, (1991) I was in a meeting of the National Academy of Sciences of the United States. I was in the hallway of the academy building and another member of the academy came up to me. He said, Dr. Pauling, " I have heart disease. My brother, my father both died of heart attacks. I am a biochemist but I was retired from the National Institutes of Health several years ago for disability because of my heart. I have had 3 by-pass operations, and I can't have any more by-pass operations. I like to walk, but I have trouble. After I have walked a little way I develop angina pectoris pain in my heart. If I take a nitroglycerin tablet, I can walk a little farther, and then I may have to take another nitroglycerin tablet." He went on to say," I have been taking vitamin C, 5 grams a day for several years because of your recommendation. Is there something else that I could do that would permit me to walk?" I said, "I could make a suggestion, it has never been tried before. Take Lysine. " Well I didn't need to tell him what Lysine was, that it's an essential amino acid and you have to get around a gram a day to be in good health, and you get it in your foods, because he is one of the most distinguished biochemists in the United States, recipient of the National Medal of Science in the United States. So he said, how much shall I take? I thought, what do I know. I know that people get a gram or two in their food depending upon how much meat and fish they eat, that it's essential they have to get around one gram. It hasn't any known toxicity in animals or human beings. I said 5 grams, 5 grams a day. He thanked me. A couple of months later he telephoned me and said its almost miraculous. I started taking a gram a day and 2 grams and so on. Within a month after I had reached 5 grams a day of Lysine in addition to my 5 grams of vitamin C, I could walk 2 miles without any nitroglycerin tablets or without any pain in the chest. He said he had cut down the amount of heart medicine he was taking in half. "It's almost miraculous," he said. "I have so much energy!" Please send a total of 2 Cardio-C per month from now on. I heard about you from Duka and the Doctor on radio. I have only been using this (2Xday) for a couple of weeks and cannot believe how much better I feel. My rheumatoid arthritis (developed 40 years ago) and allergies and general all-over "icky" feeling are almost gone ALREADY(!). I used to go to bed by 6:30 or 7:00 in the evening--I now have so much energy, I don't notice that it's bedtime till 9:30 or 10:00. When I think of the expensive and debilitating therapies over the years, I almost weep at the waste and despair. However, there is no time to cry! I am 55 years old, and I welcome every day of the wonderful life I am going to have. Thank you, Thank you. I only hope I come into some major money so I can contribute to this wonderful research. Much love and gratitude, Diana Z. Use at your own risk. Neither the FDA nor the Medical Profession accept the proposition put forth by Pauling, Rath, Levy and others that the root cause of cardiovascular disease is a chronic (or acute) vitamin C deficiency at the site of the arterial lesion. "If the claims for vitamin C are correct, it might replace many lucrative and expensive medications. As they researched their book ASCORBATE, Hickey and Roberts began to wonder if Pauling's offense had been to discuss openly the properties of a substance that threatens the profitability of medicine."